It is important to us to encourage philanthropic ideals in our young children. To have them feel more involved in the foundation and to more broadly encourage children to get involved with philanthropy at a young age as well as continue it throughout their lifetimes, we created Spinnaker Foundation Kids. While still in its early stages, the vision for the program is to create age appropriate opportunities for children to partcipate in philanthropy through a selection of programs, creating and managing projects, designing fund-raising activities and promoting the causes they support. Fleece tied blankets: We assembled fleece tied blankets for girls and boys. 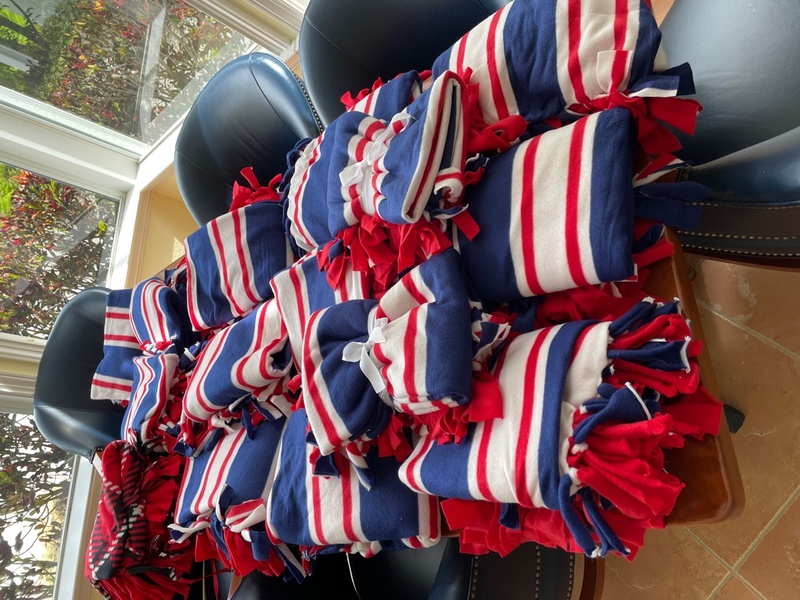 These blankets were delivered to the nurses and child life specialist at Jupiter Medical Center for them to give to pediatric patients. We will continue to make blankets as needed for the Pediatric unit at Jupiter Medical Center. To find out how you can help, please contact us at Spinnakerfndatn@aol.com.